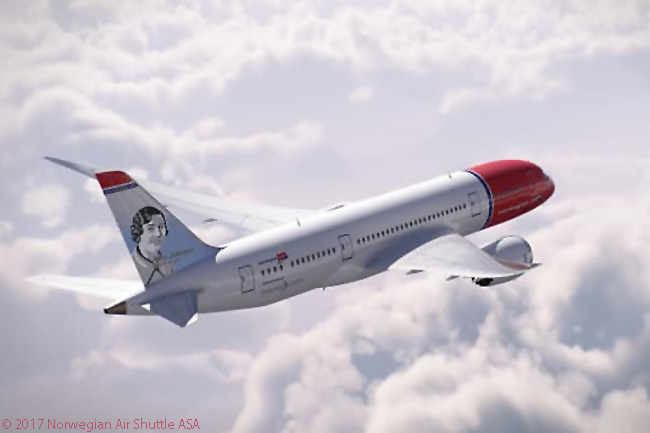 Norwegian Air Shuttle has announced that pioneering woman pilot Amy Johnson will become the second British person it will honor on tail fins of its aircraft, with the renowned pilot’s portrait set to appear on a new Norwegian Boeing 737 and one of its new Boeing 787-9s later this year. Known for displaying portraits of famous people on on the vertical stabilizers of its aircraft, Norwegian already has more than 80 tail-fin personalities. 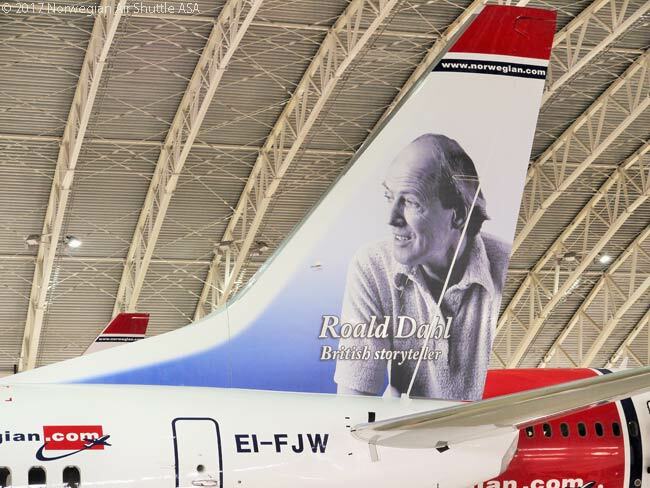 To reflect Norwegian’s rapid growth in the UK, where it now flies 4.5 million UK passengers each year to 50 destinations, the airline has now begun portraying a series of British figures on aircraft tail fins. “As Norwegian continues its rapid expansion in the UK, our ‘tail fin heroes’ offer us a perfect chance to pay tribute to some of the greatest Britons of all time,” says Thomas Ramdahl, Norwegian’s chief commercial officer. “Amy Johnson is a giant in the history of aviation and a truly inspirational British figure, so it is a huge honour to have her adorn our aircraft and help her take to the skies once more,” says Ramdahl. “We think that Amy would have felt very honored to be chosen as a tail fin hero for Norwegian and as her nearest living relatives we are happy to see her back in the air where she was always at her happiest,” say Susan Crook and Judy Chilvers, Amy Johnson’s nieces. 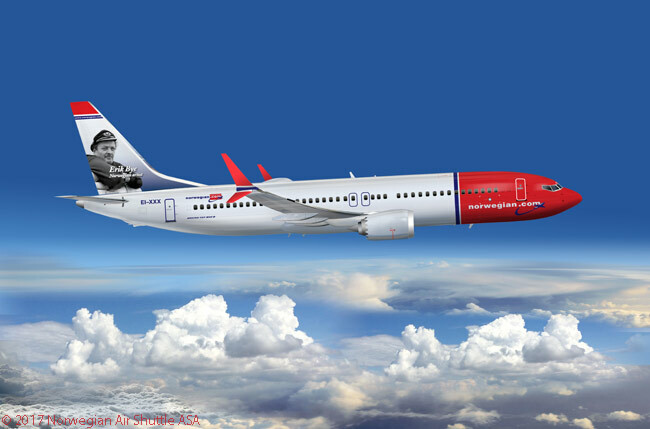 Amy Johnson will become Norwegian’s second British tail fin subject, following the announcement last year of Roald Dahl, a famous writer of fiction for children and adults, as the first British subject honored on the tail fin of one of Norwegian’s aircraft. Born in Hull in 1903, Amy Johnson CBE was the first woman to fly solo from England to Australia. She did so in 1930, just a year after being awarded her pilot’s licence. For her epic, pioneering flight, Johnson flew an open-cockpit, single-engine de Havilland Gypsy Moth biplane, which she named ‘Jason’. She left Croydon Airport near London on May 5, 1930 and after 19 days and 11,000 miles arrived at Darwin in Australia. Amy was awarded a CBE in recognition of her towering achievement, which inspired a popular song of the time, ‘Amy Wonderful Amy’. Norwegian operates from four UK airports (London Gatwick, Birmingham, Manchester and Edinburgh) and carries 4.5 million passengers annually from the UK to 50 destinations. Its routes include the UK’s only direct low-cost flights to the USA, with flights to eight US cities from just £135 ($164.20) one way, plus optional ancillary fees. 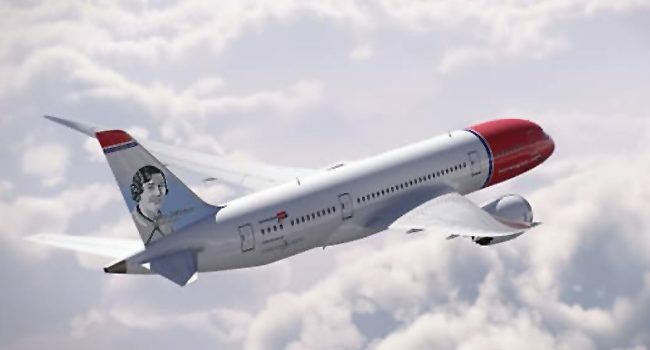 Norwegian is the third-largest airline at London Gatwick Airport in terms of passenger boardings, flying 4 million passengers annually from the airport and basing more than 700 pilots, cabin crew and staff there.